SAT. 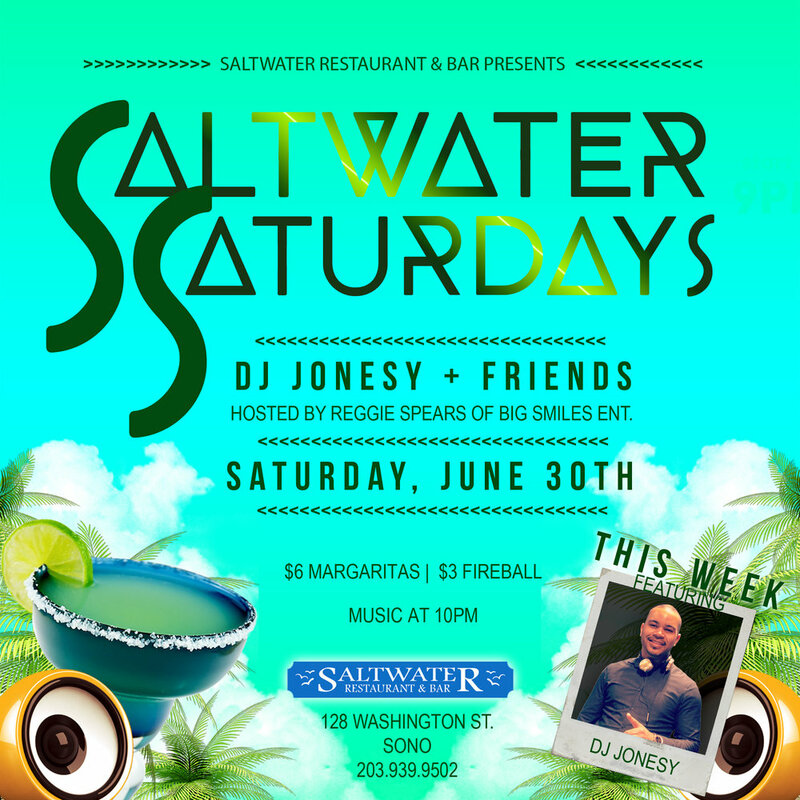 JUNE 30TH WE CONTINUE 'SALTWATER SATURDAYS' @ SALTWATER RESTAURANT IN SONO! DJ JONESY + FRIENDS: EVERY WEEK YOURS TRULY WILL BE BRINGING YOU THE BEST LOCAL DJS (INCLUDING MYSELF) FOR A SATURDAY NIGHT BANGER! THIS WEEK I'LL BE BRINGING THE HEAT. PARTY STARTS AT 10PM + THIS WEEK $6 MARGARITAS AND $3 FIREBALLS ALL NIGHT LONG. THIS WEEK HOSTED BY BIG SMILES ENTERTAINMENT! The Jonesy Dad Hat -> On Sale Now!